We are thrilled to have 830 votes, but we need over 1,000 to have a shot at being selected as one of the top 100 charities. The top 100 win $25,000 -- AWESOME! -- and a chance to move on to the next round of voting in which the top 5 charities win a grand prize of $1 Million!!! The first round of voting ends this Friday, December 11. So we NEED YOUR VOTE TODAY!!! And we NEED YOUR HELP IN REACHING OTHERS. The Gwendolyn Strong Foundation is giving 100% of anything we receive from Chase directly to Dr. Keirstead's SMA stem cell program at UC Irvine. This groundbreaking research has the very real potential to cure SMA -- CURE SMA -- giving thousands of beautiful babies the bright future they deserve. 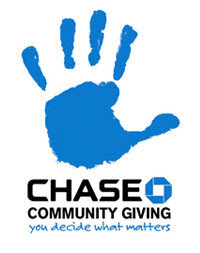 Please click here to vote and post this link - http://apps.facebook.com/chasecommunitygiving/charities/710566 - on your Facebook wall asking your friends to vote as well. Please vote. Please ask others to vote. Gwendolyn and her friends NEED A CURE!! !